This collection of the work of the Maltese composer, Gordon Mizzi, for solo guitar is being made available to the public for the first time. 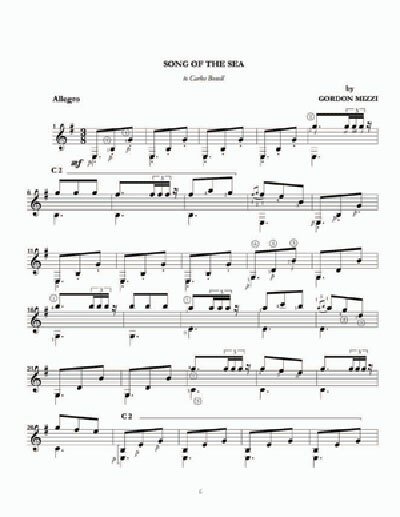 Song of the Sea, The Music of Gordon Mizzi, Volume One is the first of two albums, which are available from Mel Bay Publications. The title is taken from the CD, Song of the Sea, Carlos Bonell Plays Gordon Mizzi recorded by Carlos Bonell, one of today's most celebrated guitarists, and which is available from Spearhead Music. The individual track recordings are also available as downloads from itunes, amazon.com and other sites. This album has been received with critical acclaim and broadcasted by leading radio stations including the Cowan Collection, BBC Radio 3. 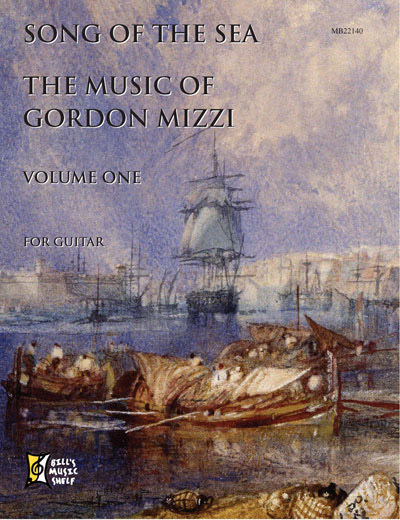 The critic, Robert Matthew Walker, writing in Musical Opinion, Britain's oldest classical music magazine in May -June 2007, said in a review of a concert in London: Gordon Mizzi's music is 'fascinating and inventive.' His music is performed by leading guitarists all over the world. In this music we find a truly inspired creativity and diversity. This album draws on a wide range of influences from Gordon Mizzi's musical canvas, from the Maltese Variations of a Maltese Theme, to the Hispanic Tango and Habanera to other European influences such as the Two Anthem Studies, Song of the Sea, Madliena Sonata, which has four movements Morning Hymn, Sun Dance, Evening Song and Serenade and the haunting beauty of the Sonata for Six Mute Swans with three movements, Flying South, In the Bay and Lament of the Swans.